The world is patiently waiting for Anderson .Paak to deliver his new album Oxnard. The talented artist recently announced that the LP, which is expected to be executive produced by Dr. Dre, is done. We still don’t know the release date but looks like it should now not take too long to arrive. 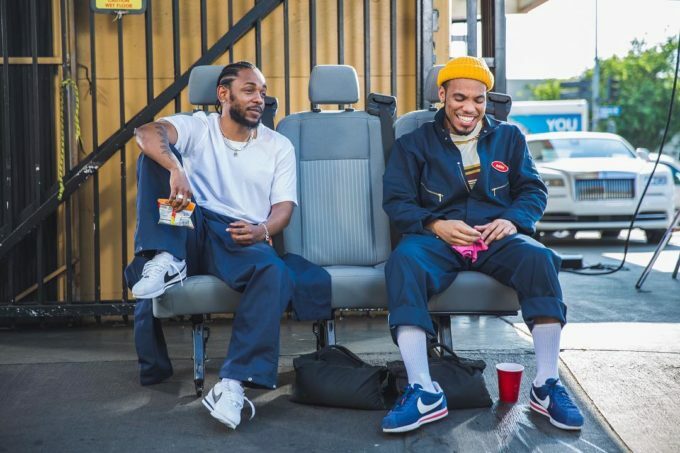 Today, Paak has taken to Instagram and teased a new collaboration with his Aftermath label mate Kendrick Lamar with the caption simply saying “October 4th.” The photo looks like it has been taken on the sets of a video shoot. Whether the date is for the song/video or the actual album we’re not yet but a new Anderson .Paak/K.Dot song is definitely on the way. Stay tuned.